This is why we need BLOOD DONORS. You, yes YOU, save lives on a regular basis whether or not you believe it. I work at a level two trauma hospital–our M-F standing order is: 12 units of O positive blood, 3 O negative, 8 A positive, 1 A negative, 2 B positive and rarely a B negative. That’s not including the two platelets we get each day. Now sometimes there are blood shortages : it does happen, it’s not an antic to get you to donate, the red cross literally runs low on blood supply from selfless donors and can not supply hospitals with the blood they need because they don’t have enough donors. Let me put this in perspective: if I get a Level I trauma(COMMON) they automatically get four units of O negative blood, that’s more than what I received that day from the AMERICAN RED CROSS and god forbid it turns into a MTP (Massive Transfusion Protocol) where we are literally throwing numerous units into a patient to try to the them stable– I think the most I’ve had during an MTP with all blood products was >120. 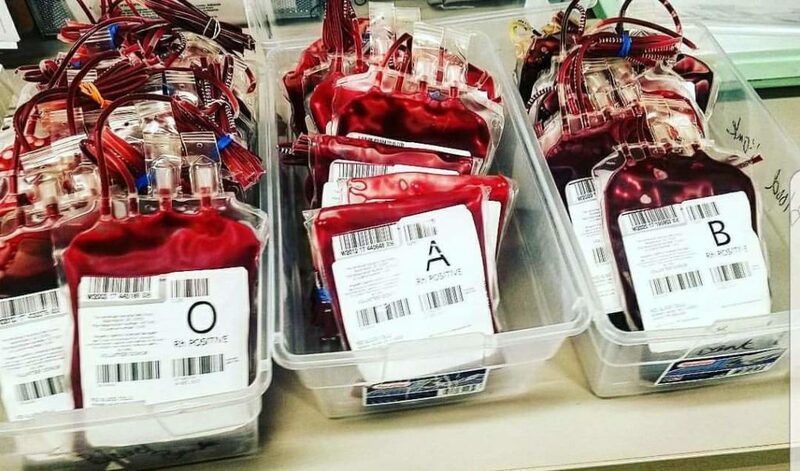 When we figure out a patients blood type, they get type specific blood but still blood donors are in a constant need: especially when chaos is happening. Think most recently of the Vegas massacre, Pulse Orlando…etc. People need blood, it shouldn’t take a tragedy to donate. Packed Cells you can donate every 8 weeks, it depends on the agent in the blood bag but it can last 21-42 days (norm is 42). Your blood is 99% of the time used before it expires. Plasma you can donate every 2 weeks, it gets frozen so it’s good for one year. Platelets you can donate every week:it’s good for three days. The need is CONSTANT & if you have a rare set of antigens missing from your blood- I urge you to constantly donate: there is more to blood than just an A, B, AB or O positive/negative. Your blood is an amazing carrier of numerous antigens: capable of making antibodies if you’re in need of numerous transfusions. You can change the world, even if it’s only one persons. Your everyday blood donor, blood drive coordinator and blood bank technician.